I can still remember… Sorvete Nata Goiaba (Sweet Guava-and-Cream Ice Cream) used to be one of my favorite flavors back home in Brazil. Oh, how I have missed it!!! But not anymore. That’s right! I took matters into my hands and finally made sorvete nata goiaba (THE ice cream). Whoo-hoo!!!!!!! I tasted it gingerly, then took a few licks, got big bite, licked again, let it a melt in my mouth, and then wound up totally devouring the ice cream. From the middle to the very end, it just kept getting better and better. You know, the satisfying crunch of a great wafer cone along with the creaminess of this delicious homemade ice cream just can’t be beat. It really made my day!!!!!!!!!!!!!!! I hope it makes yours, too. Enjoy our sorvete nata goiaba and stay cool! 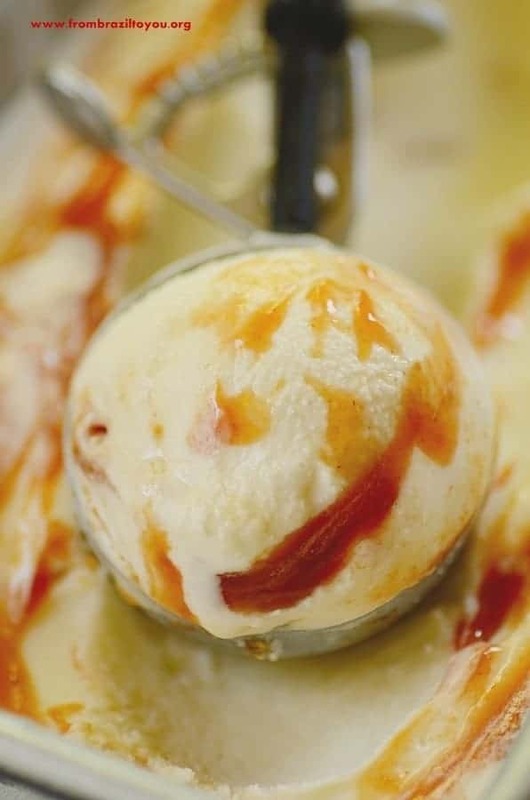 Sorvete Nata Goiaba (Sweet Guava-and-Cream Ice Cream) is a vanilla, sweet cream based ice cream with guava sauce swirls. One of the best ice creams ever! In a medium sauce pan, combine 1 cup heavy cream, the sugar, and the salt over low-heat. Meanwhile, split the vanilla bean pod in half lengthwise using a sharp knife. Then, scrape the seeds with a small spoon. Stir both the seeds and the pod into the mixture over medium-heat until sugar is completely dissolved. Remove from the heat, add the vanilla extract, the remaining cup of heavy cream, and the milk. Stir well. Pour mixture into a glass container, cover, and refrigerate for at least 2 hours, maximum overnight. 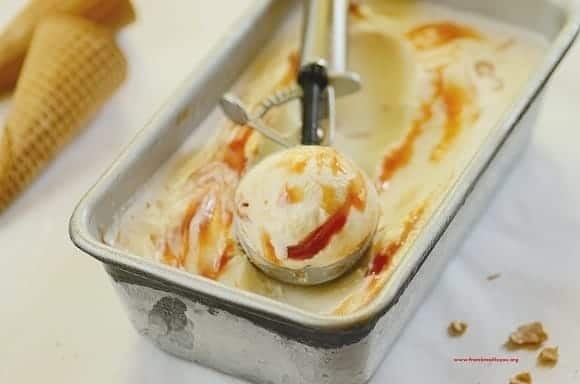 In this way the blend will become well-chilled, and the vanilla flavor will suffuse and permeate the mixture well, adding a wonderful taste to the ice cream. Right before churning the ice-cream mixture, remove the vanilla bean pod. Process the mixture in your ice cream maker according to manufacturer’s instructions (about 30 minutes). 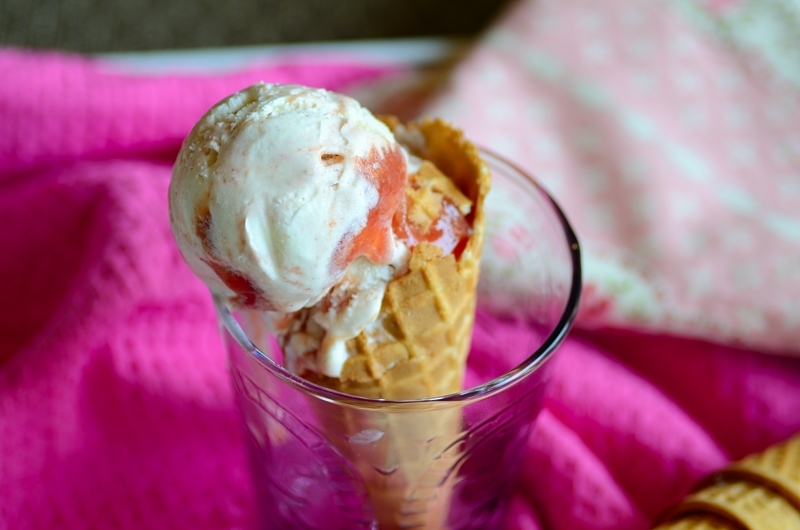 Remove from the ice cream maker and let sit at room temperature for approximately 2 minutes so that the ice cream will soften enough to be stirred. Finally, add the guava sauce little by little, swirling a bit with a stirring rod/stick. 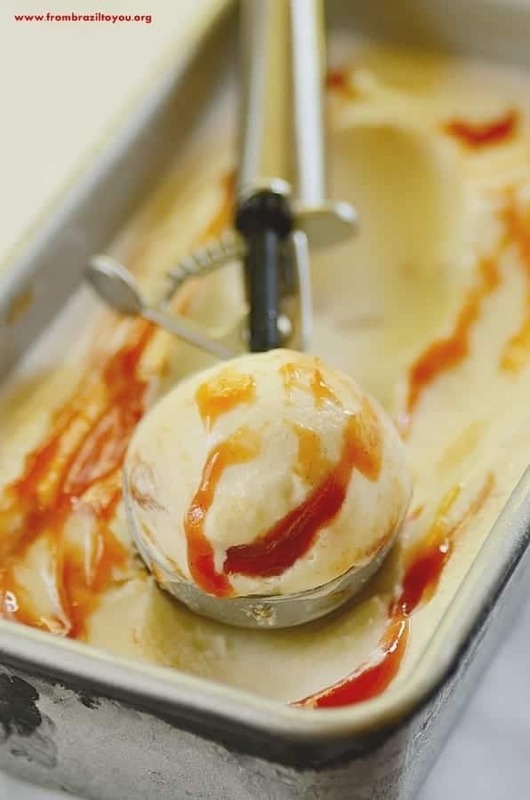 Note: do not stir vigorously in order to homogenize and fully incorporate the guava sauce- swirl just enough to streak the guava sauce into the ice cream, as in the picture below. Put the sorvete nata goiaba (ice cream) into an airtight container and freeze it for at least 4 hours. Enjoy! Yield: 1 qt or almost 1 L.
Guava Sauce is available at any Latin supermarket. It can be replaced by 1/2 cup guava paste (chopped) heated with 1/2 cup water over medium-heat until fully melted. Stir well and refrigerate before mixing into the ice cream. Ummm…Guayaba, I like it so much, I used to eat it raw with some honey, delicious, and as mermalade I think is better. Good to know you can found that child flavor that is still in your mind. Hi, do you think this recipe or the mango recipe would come out better when prepared without an ice cream maker? 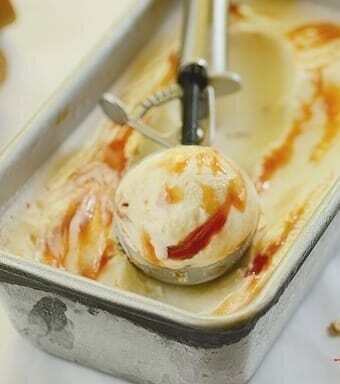 My boyfriends dad is brazilian and I would love to make him one of these ice creams, he loves mango qnd guava! I went to the link on how to make the ice cream without an ice cream maker and t says a custard based ice cream is the best. 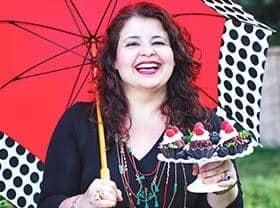 Thank you so much for sharing these delicious desserts from Brazil ! Hi, Shannon! The pleasure is mine. 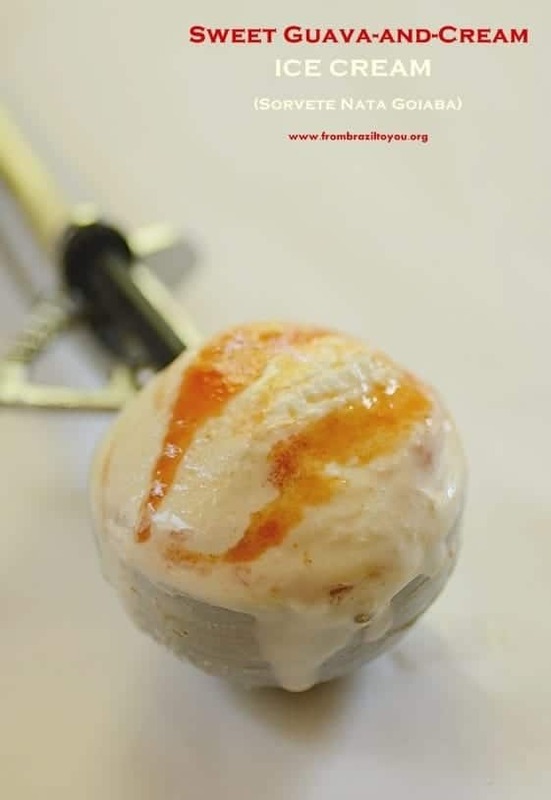 I think you will not have problem making any of them without an ice cream maker — but the mango ice cream would turn out much more creamier than the guava one because besides the heavy cream, it takes sweetened condensed milk. And do not worry — it will not be very sweet because of that. I hope you try to make one or both of them. Thank you very much for stopping by! Enjoy!! !